First time ever offered for sale! 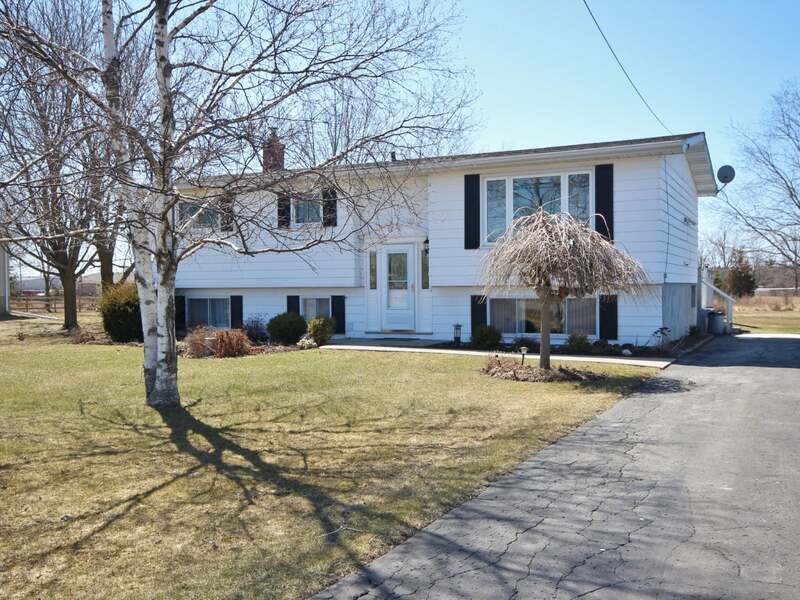 Exceptionally well maintained 3 bedroom elevated bungalow set on a large 100 x 160ft lot just north of the 401. Gorgeous maple hardwood in living, dining and hallway. Eat-in kitchen with ceramic floors, pantry, lots of counter space and large window overlooking the backyard. 3 good sized bedrooms and large 4-piece main bath with ceramic floors. Patio door from the dining room leads to large privacy deck with gazebo included! Fully finished lower level offers 17 x 14 rec room with bright windows, den with window and closet, laundry room, storage and rear walkup to backyard. Double wide paved driveway with parking for 8+ cars, concrete walkway from driveway to front door, beautifully landscaped with mature trees, 2 storage sheds and more! Updates to roof shingles, furnace and windows. Convenient to all west end amenities and the 401. Lot Size 100 x 160 Sq. Ft.